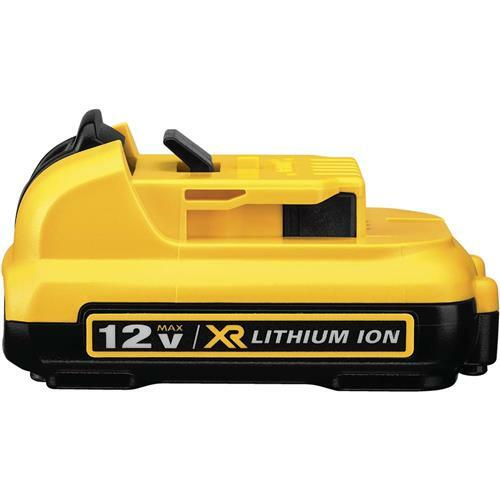 This DeWalt 12V MAX Li-ion Battery Pack has a compact, light weight design that makes it easy to use and fit with a number of products without adding too much extra bulk or weight. No memory and virtually no self-discharge allows for maximum productivity and less downtime. 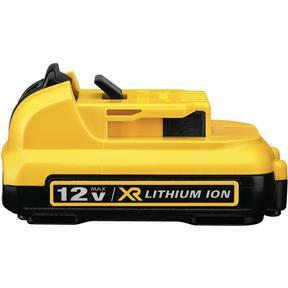 Maximum initial battery voltage (measured without a workload) is 12 volts per battery - nominal voltage is 10.8. Single battery, charger sold separately.